After reading the first two volumes of Robert Kirkman’s fantastic superhero series “Invincible,” I was dying to read more from this brilliant series and I finally managed to get my hands on the third volume of the “Invincible: Ultimate Collection” and man, did this volume really blew me away! After the tragic events of the second volume, Mark Grayson has been trying to move on with his life which includes dating his loving girlfriend Amber and still saving the world on a day to day basis. One day, however, Mark gets a call from an alien planet that needs his help and he realizes that his father (you know, the guy who beat him up in the first volume) is ruling the planet and he wants Mark to help him defeat his own alien race, the Viltrumites, who are coming to the alien planet to take care of Mark’s father! Will Mark help his father stop the Viltrumites or will he let the alien planet die out of spite? Also, this volume contains the fourth issue of “The Pact” with artwork by Jason Howard, which contains the adventures of Invincible, Shadowhawk, Zephyr and Duncan fighting lava monsters that are terrorizing the world! Robert Kirkman’s writing: Once again, Robert Kirkman has proven that he can write a brilliant superhero series that not only contains full throttle action, but plenty of character development! I loved the way that Robert Kirkman wrote each character; especially Mark Grayson who is shown to be an extremely optimistic yet slightly tortured character. I actually felt sorrow for Mark’s predicament for his father as he felt a betrayal like no other and I can relate to Mark’s confused feelings about his father as he still loved him, but he cannot forgive his horrible actions in the past. 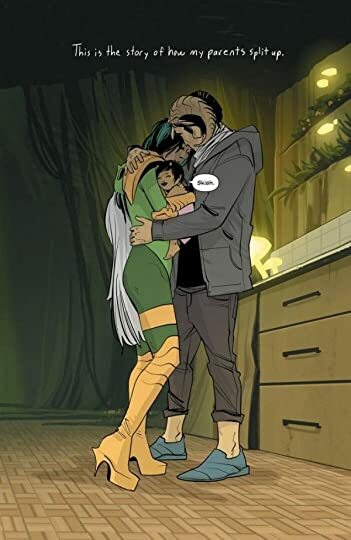 I also loved Mark’s relationship with Amber as he is extremely honest with her about his superhero antics and it was a bit interesting seeing a strain in their relationship as Mark is having a difficult time trying to maintain his relationship with Amber as he is always out saving the world. 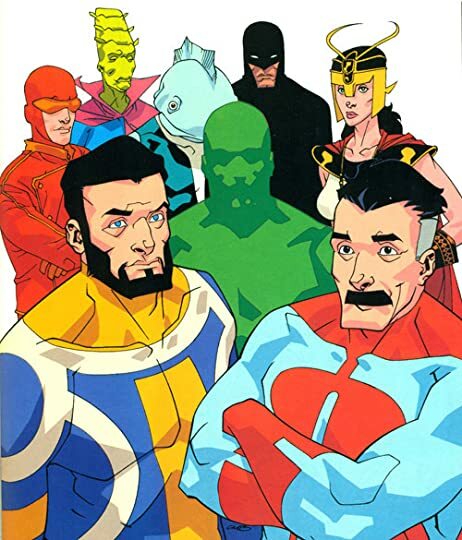 I also loved the various different stories going throughout this volume as we have storylines that involve Mark meeting up with his father and the return of Angstrom Levy and they all managed to tie up into one storyline that affects Mark! Ryan Ottley’s artwork: Ryan Ottley’s artwork is truly brilliant in this volume as the artwork is a cross between being realistic and being a bit scratchy, which really brought out the gritty nature of this story while at the same time, bringing out some humor to the story. 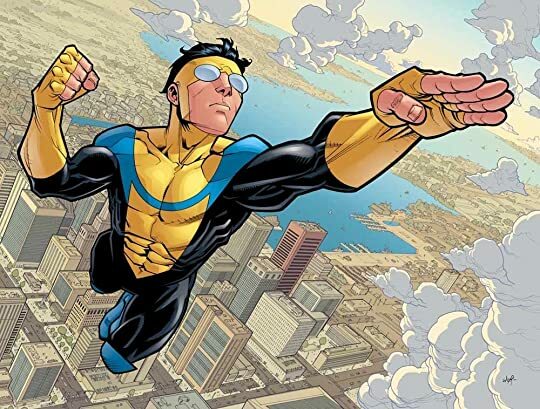 I also loved the way that Ryan Ottley drew Invincible’s costume as it is shown in blue, yellow and black colorings, which I think made Invincible really stand out as a superhero in this series! For anyone who does not like gory violence in graphic novels, this volume definitely has plenty of bloody violence that involves characters getting ripped apart and being punched to death and that might be a bit discomforting for some readers. Overall, “Invincible: Ultimate Collection: Volume Three” is a fantastic volume of the “Invincible” series and I am definitely looking forward to reading the next volume of this awesome series that caught my eye from the beginning! 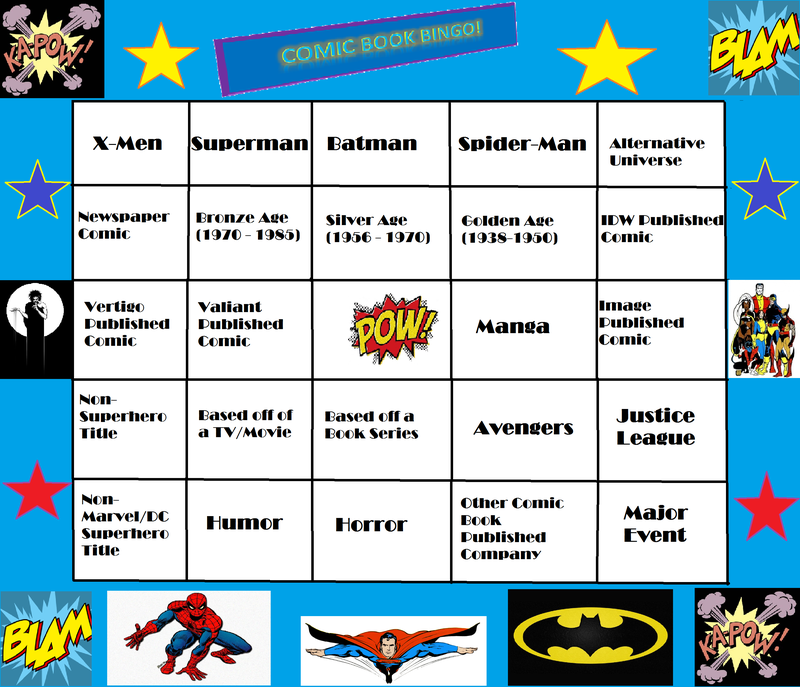 For a long time now, I had always believed that the only comic book companies that created superhero comics were Marvel and DC and it is true that they have been creating superhero comics for many years now. 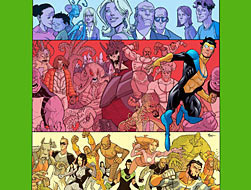 However, when I found Robert Kirkman and Cory Walker’s latest creation and Eisner Award nominated series “Invincible” from Image comics; I was actually shocked that an independent comic book company would produce a superhero comic! “Invincible” is a superhero comic book to be sure, but it was one superhero comic that had many plot twists that you would not normally see in any other superhero comic book and those plot twists really made this graphic novel truly unique and exciting to read! Mark Grayson was a normal teenage boy who goes to high school, has crush on girls and has a dull after school job like everyone else. However, what makes Mark different from everyone else is that his father, Omni-Man is the world’s most powerful superhero and Mark seems to have inherited his powers! After Mark discovers his powers, he finds the life of being a superhero fun; but then once a dark secret is exposed, Mark’s life will soon change forever! Robert Kirkman’s writing! : Now, I am not too familiar with Robert Kirkman’s work since “Invincible” is the first comic I have read by him, but now that I had just finished reading this graphic novel, I am totally hooked on Robert Kirkman’s writing style! Robert Kirkman has done a brilliant job at developing the characters to the point where we can really sympathize and care about their situations. I loved the character portrayal of Mark Grayson as he is portrayed as being a free spirited character that enjoys having superpowers while trying to balance his life at school and I loved seeing that side of Mark as he knows he has responsibilities, but he still wants to enjoy life. 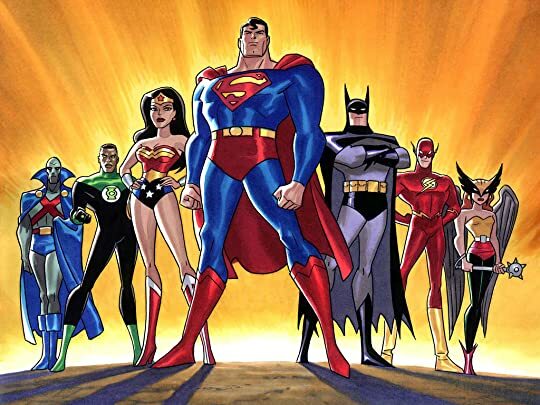 I also loved the way that Robert Kirkman would make parodies of superheroes in this comic such as the superhero team “Guardians of the Globe” being a slight parody of the Justice League and yet, these superhero teams are not like carbon copies of the superheroes we see in Marvel and DC as they seem to have qualities that separates them from the other superheroes. 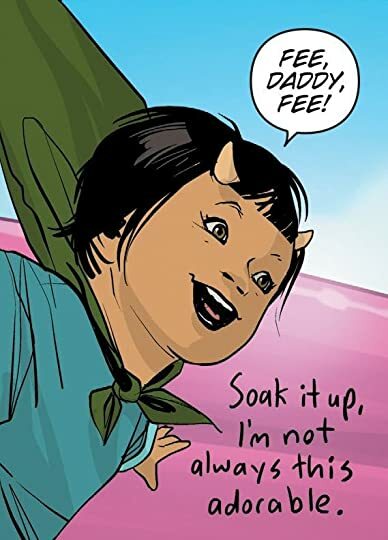 Robert Kirkman also did a fantastic job at providing humor in this story as I found myself laughing at the statements being made by the characters, especially by Mark Grayson when he made comments about finding out about his powers for the first time and he just casually told his parents about his powers like it is no big deal. What I really loved about Robert Kirkman’s writing is his ability to provide plot twists to the story and the plot twists were done extremely well as I was literally shocked at the various secrets that were exposed about the characters. 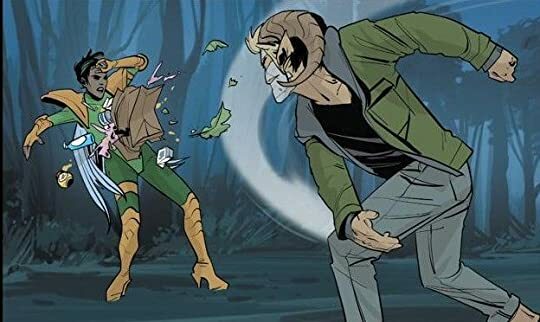 Cory Walker and Ryan Ottley’s artwork: Cory Walker and Ryan Ottley’s artwork is a bit unique as it has a simplistic look and yet during the action scenes, is drawn in an effective way. I loved the artwork of the characters’ expressions whenever they are confused about something as their eyes are drawn as little black dots instead of having their normal eye shapes which really brings out the humor in the situations. I also loved the coloring done by Bill Crabtree as the artwork looks extremely colorful and I loved the shadowing on the characters’ faces whenever they are in dark places such as being outside during the nighttime. This graphic novel is surprisingly gory as there are many scenes of characters being torn apart and you can see blood squirt out everywhere and their innards being pulled from their bodies. Anyone who does not like seeing gore in any graphic novel might want to skim over these scenes. “Invincible” is not your average superhero comic as it contains more humor and a lighter tone than what I usually see in superhero comics, but this is definitely one of the most unique and interesting superhero comics I have ever read and I am sure that many fans of superhero comics will definitely enjoy this graphic novel!